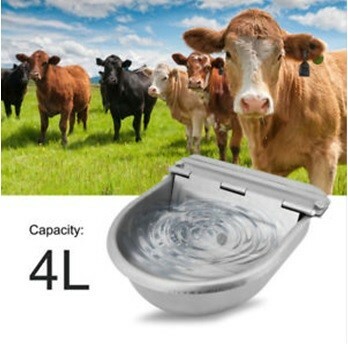 After milking water is necessary, in hot climate cow takes about 80 liter of water and in cold 40 liters. The automatic water system is shown in figure. The more is dry fodder the greater is water need. Bhusa has no water, berseem contains 90% water and all grain fodder has 50 to 40% water. 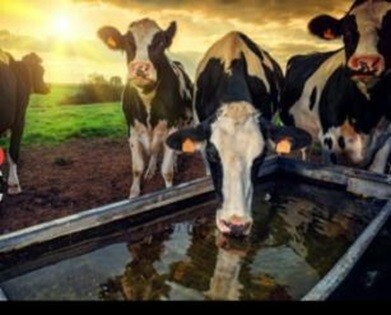 Cows eat 3% dry matter every day. So a cow of 400 kg will eat 12 kg of bhusa or 20 kg of green fodder and 20-25 kg silage. Bhusa cost 7 rupees/kg. The cost of silage is just one rupees. So your complete economic depend on silage making. In fact you should start your dairy by silage making. Table of feed making and the feed given is below. Note: Cow do not eat at temperature above 25°C. So cool the cows, Gave feed at night imbalance feed causes acidity which reduces feed consumption due to less rumen motility and rumination for bacterial fermentation so take care of temperature and feeding balanced diet. Per kg of milk increase feed from 400 gm to 500 gm. After calving increasing half kg of feed per day if milk production is increasing. With increase in cattle feed, mineral mixture increases as shown above. In case of exotic cow the calf is removed just after birth. It is because the milk produced by cow is much more than the milk required by calf. Cow produces 35 liters and calf need 4-5 liter milk per day. So the milk is fed by milk bottle two to 3 times a day. 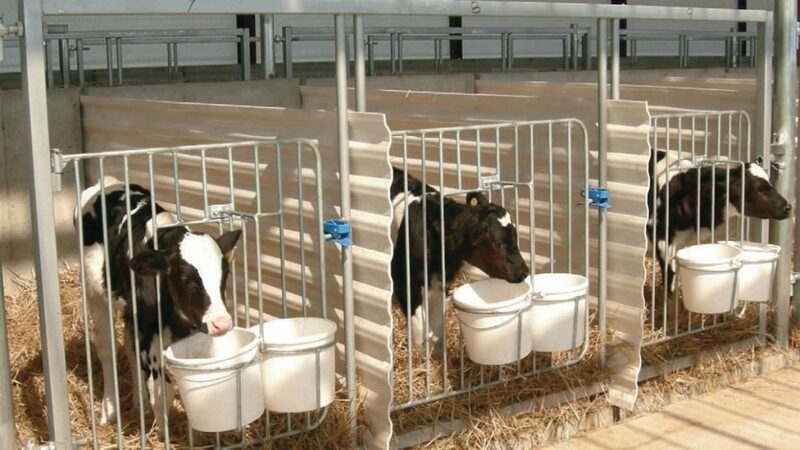 Keep calf at room temperature 20-30° C till is 100 kg. First milk after calving is essential for calf immunity. Even if placenta is not removed the calf should be feed milk. After a week give calf starter and water and continue milk feeding. When calf is eating one kg of calf starter stop milk feeding don not give any fodder till the calf starts eating three kg of calf starter. This will encourage the rumen growth. You can purchase ready made starter or you can make one. The calf should be given feed ad lib. When calf is 100 kg at the age of 100 days it should be offered green fodder. By this time rumen is developed and you can reduce calf feed to 1 kg. The fodder, feed, water shade and sun should be available all the times. Optimum feeding of mineral, vitamins are necessary for production and reproduction of cow. Due to continue growing of crops our soil is depleted of minerals. If cow are deficient in minerals there is pica eating unwanted things like cloths soap etc. The life process can be enhanced by adding vitamins, because vitamins has catalytic effect. The addition of lysine and methionine, amino acid causes the better utilization of mineral. The mineral are also available in chelated form. Chelation is a process where the mineral are attached to other compound for easy entry of mineral in body. Feed chelated mineral mixture of standard company.